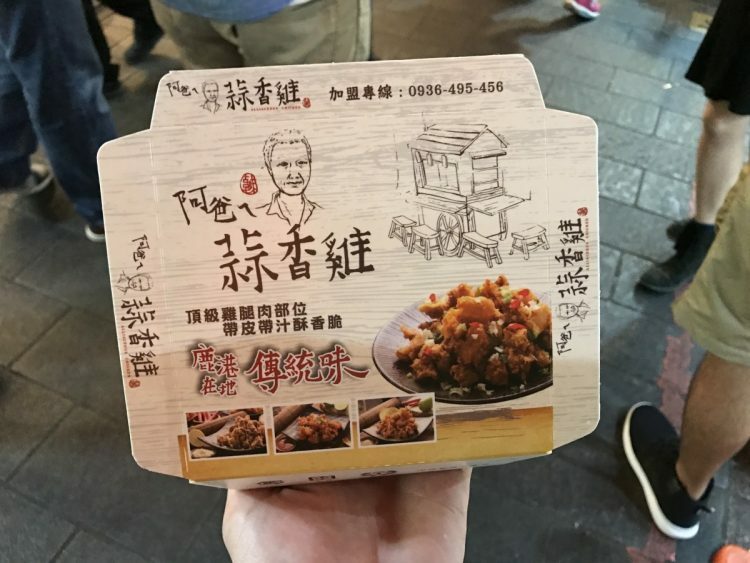 After experiencing Fengchia Night Market, then subsequently smaller ones, I thought I was prepared for what would await at Shilin Night Market (士林夜市 / shi lin ye shi). 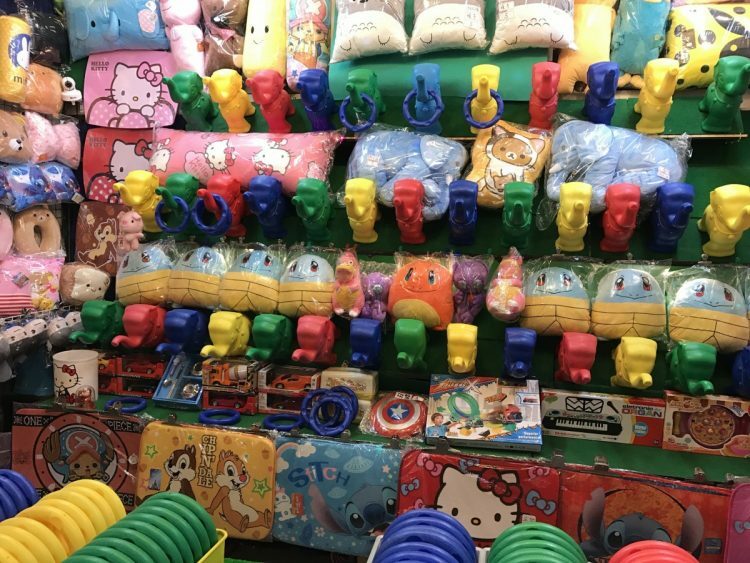 Not only was I wrong, but even with a few hours spent wandering around, I still feel like I didn’t fully get my head around how big the night market is. 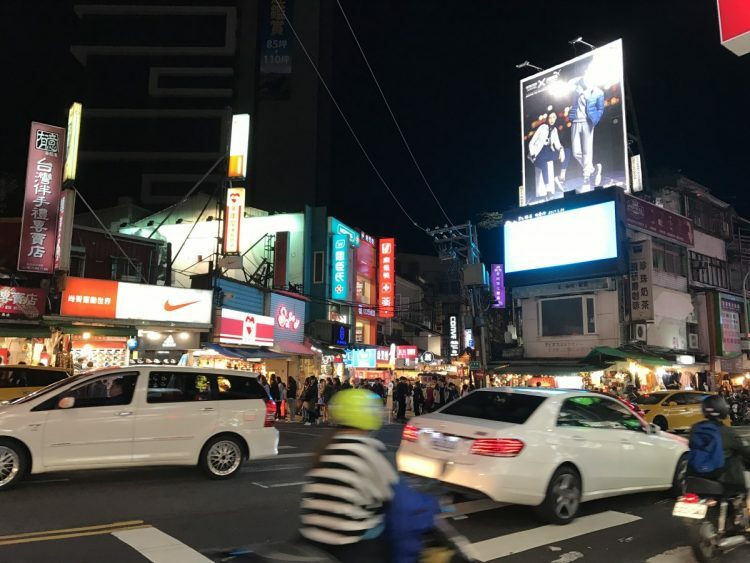 After getting off at the Jiantan MRT Station (捷運劍潭站 / jie yun jian tan zhan) and walking a block to the north, we were at the beginning of the night market. 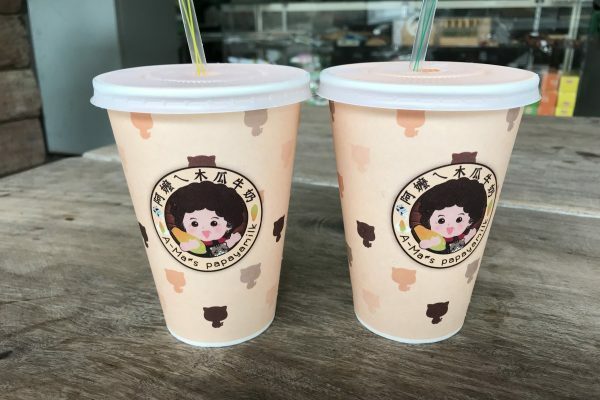 After going by three boba shops within a short period, we figured it would be best to grab a drink and proceed forth. We crossed this busy crosswalk to enter the market which was already overflowing onto the street. This path took us by dozens of stores selling all kinds of things including mobile gadgets and shirts. Braving the crowd even further, we got our first taste of food. This chicken place 蒜香阿爸ㄟ蒜香雞 (suan xiang a ba de suan xiang ji) was yummy, sans onion and garlic. 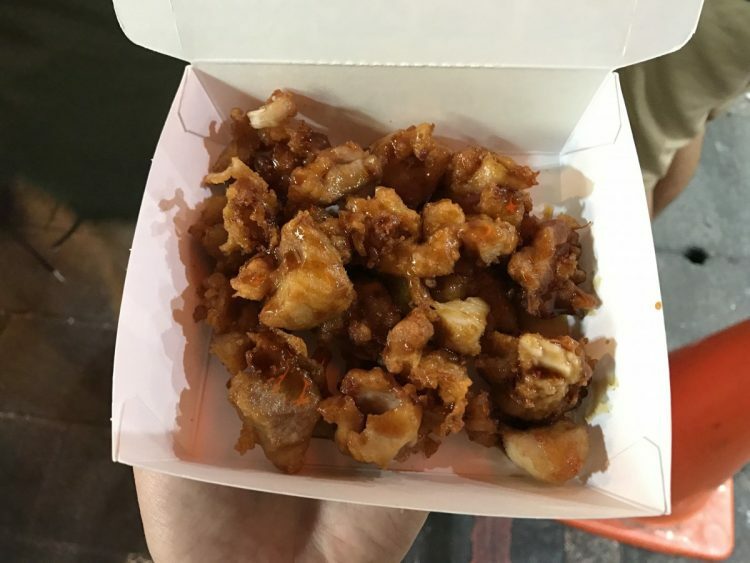 The chicken, in this manner, tasted a bit like orange chicken. Getting this chicken took a bit longer than I expected since I had been used to less than 10 minute waits. The market was fairly crowded on this day with many tourists in town for the holiday weekend. I had heard about the fishing you can do at Shilin, so I was happy to see it in person. 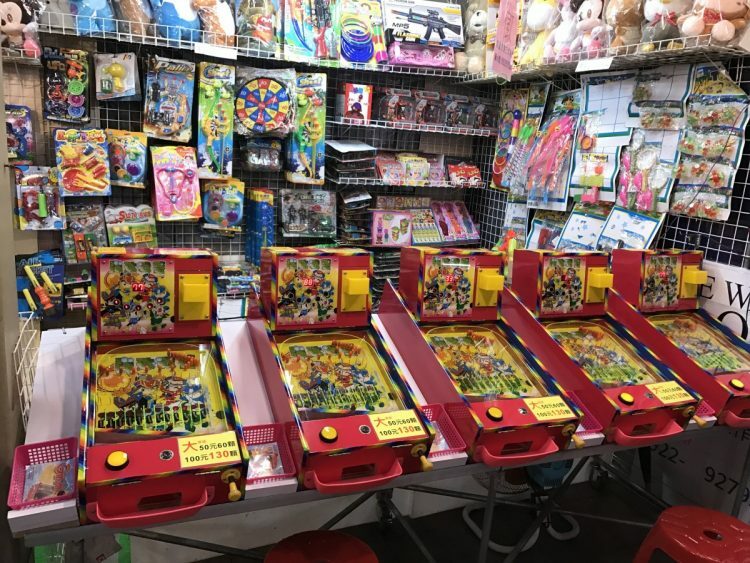 There’s also a variety of games of skill available to try and win cute prizes. 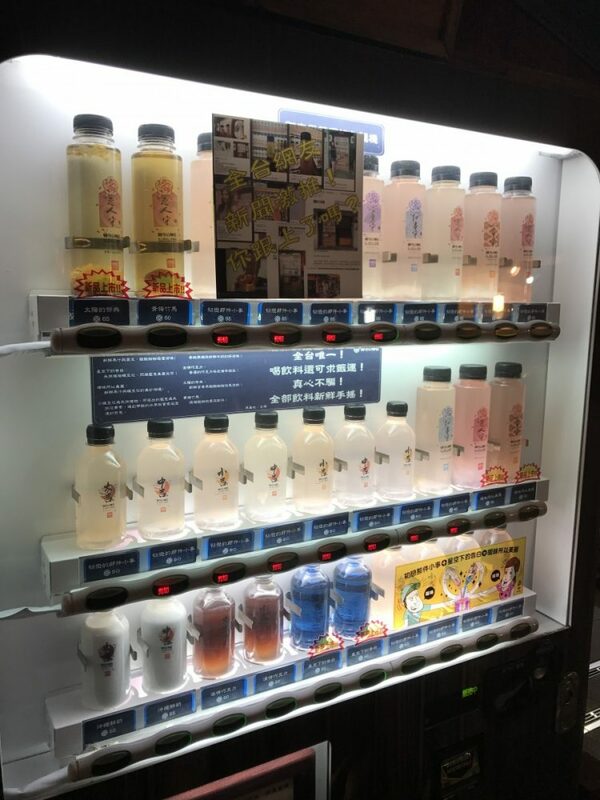 Found a random vending machine along the way with a variety of drinks to quench one’s thirst. There was a huge line surrounding this sponge cake shop. I think it was mostly for the theatrics of the bakers pulling out and flipping huge trays of sponge cake. The cheese version we got was just the right amount of moistness and cheesiness. For two people though, it may have been a bit much as we didn’t finish it before we headed back to Taichung. 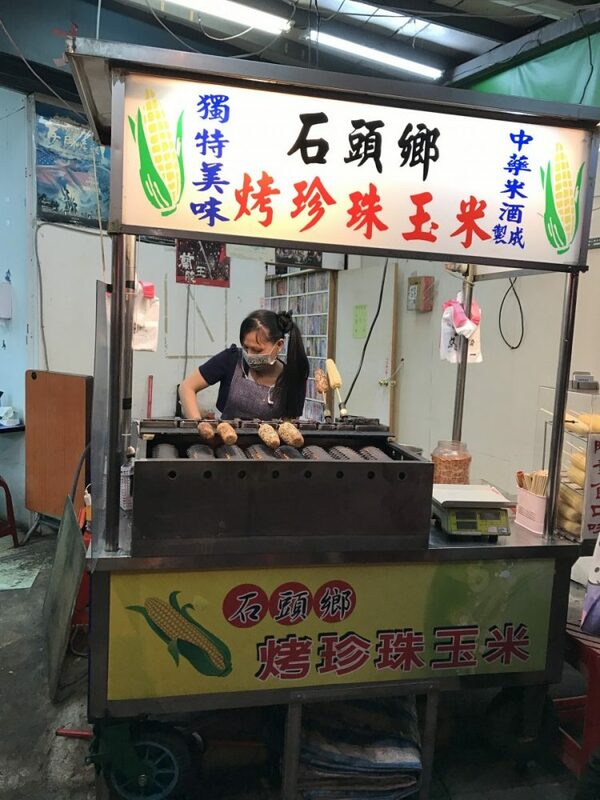 As we tried to escape the crowd, we found this corn shop on the outside of the night market (石頭鄉 / shi tou xiang). Much like many of the other roasted corn stands, the flavor was great. 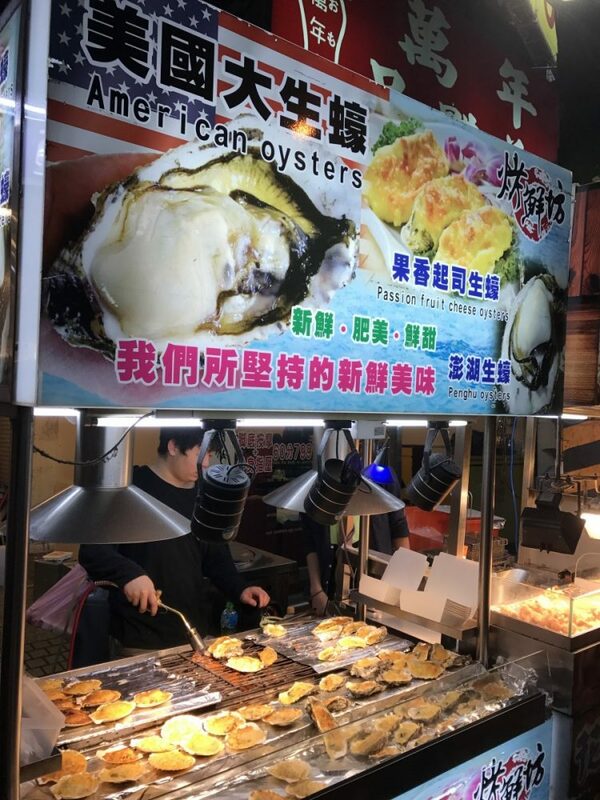 Closer to where we started at the MRT station, we stumbled upon this food stand (美國大生蠔 / mei guo da sheng hao) selling “American Oysters” from Penghu (澎湖 / peng hu). 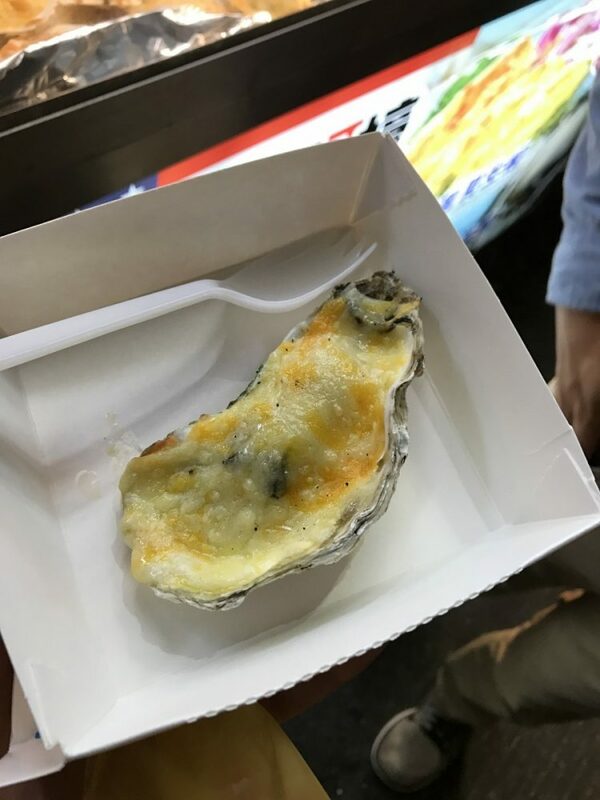 Amused, we gave the passion fruit cheese oysters (果香起司生蠔 / guo xiang qi si sheng hao) a try. Didn’t taste the passion fruit aspect of it, but it was hot and the cheesiness was delicious. 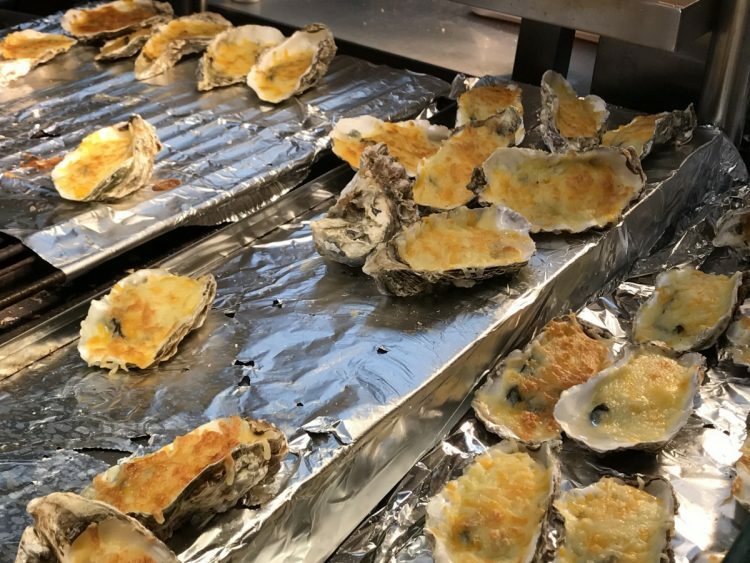 Here’s a video of them preparing the oysters. Seems simple enough. 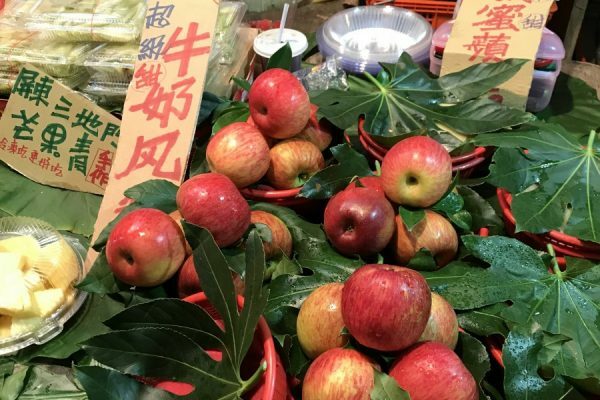 Though we were there for what would have been a long time at most other night markets, I feel like I barely scratched the surface of what Shilin is. 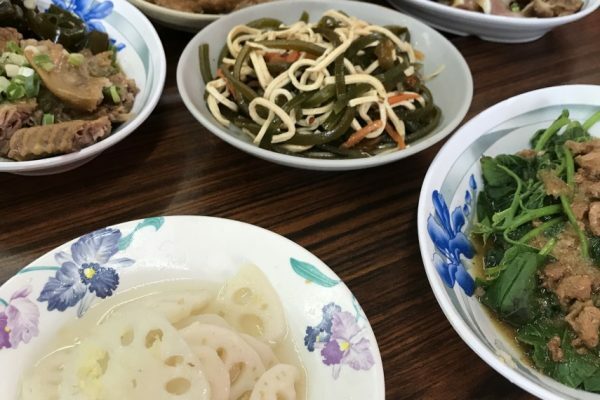 Will have to come back another time to experience more of the sights, sounds, and flavors the night market has to offer.